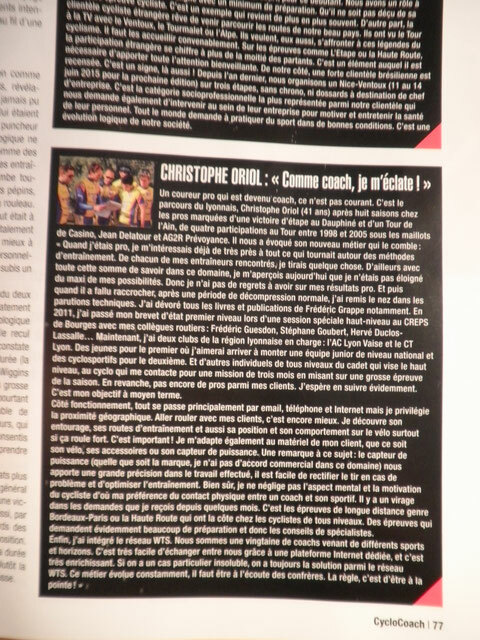 Un article dans CycloCoach ! Usually I don't learn post on blogs, however I wish to say that this write-up very forced me to check out and do it! Your writing style has been amazed me. Thanks, very great post. Nice post. I learn something new and challenging on blogs I stumbleupon everyday. It will always be helpful to read content from other authors and practice something from other websites. What's up to every , because I am truly eager of reading this webpage's post to be updated daily. It includes good stuff. Helpful information. Lucky me I discovered your web site by accident, and I'm surprised why this accident did not came about earlier! I bookmarked it. Exceptional post but I was wanting to know if you could write a litte more on this topic? I'd be very grateful if you could elaborate a little bit more. Thank you! My brother suggested I would possibly like this website. He was once totally right. This submit actually made my day. You can not consider just how a lot time I had spent for this info! Thank you!